This is the most important message you have ever received from us. Please read it all the way through and share it widely! We promised you some big news and we are so excited to finally be able to share it with you. We hope you find our new announcement exciting too! For the past couple of months, the CLSP team has worked overtime to make this day possible. We have officially launched our own pro-life, pro-family organization that will offer you and your family even more support than we’ve been able to offer you through the Culture of Life Studies Program alone. Our new organization—Light and Shield Ministries—will not only be home to the Culture of Life Studies Program, but also to Life Defenders (our youth outreach program) and National Pro-Life T-Shirt Day (our yearly activism opportunity). And in the very near future, we’ll be adding other programs that complement the good work we’ve been doing for the past three plus years. It’s an incredibly promising time! There is a lot of work to be done and we need your help. As you read this post, you’ll find several opportunities to support us in this new, unique, and powerful approach to building a culture of life. We pray that you will be moved to join our efforts. Will you consider donating to pro-life education? 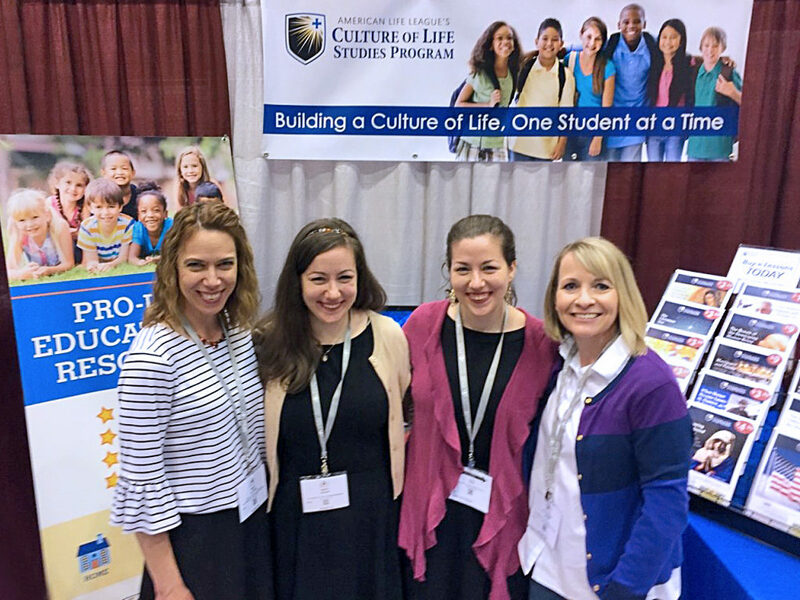 The Culture of Life Studies Program will continue to serve parents and teachers with educational materials and student activism opportunities. Over the next 12 months we expect to build unprecedented momentum. We have almost a dozen studies and lessons in the pipeline. We expect to triple the number of schools we are in. We have another groundbreaking video series in the works. We’re weeks away from launching a new 3rd-4th grade lesson, a 100% pro-life sweatshirt, and our 2nd annual Pro-Life Essay Contest. In addition, we’re putting the final touches on a pro-life online course for the Archdiocese of Cincinnati. And that’s just the tip of the iceberg! We have big plans for the future, but we need your help! 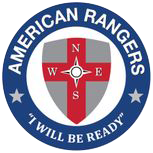 Until now, we’ve been supported solely by the generosity of American Life League donors. Now that we are venturing out on our own, we must build our own family of supporters who will help fund the program in very tangible ways. For example, right now, we need $500 to print our product catalog. We need several thousand dollars to finish producing and printing our new lessons and program material. We need funds to build a new, interactive website for CLSP as well as for our new parent organization (Light and Shield Ministries) to expand our digital presence and effectively serve the schools and families who access our materials online. We need to secure our spot at next year’s March for Life. We’ll soon be travelling to several educator conferences. Our list of needs is long. But that is a good thing because it means we are active and you can plan on seeing great results from our multiple efforts. As we move forward with this exciting transition, we hope to include you as part of our family. Please consider making either a one-time gift or becoming one of our monthly CLSP supporters. A gift of $10, $20, or $50 a month will go a long way toward helping us educate and inspire the next generation of pro-lifers. Your tax-deductible gift will go directly toward helping us expand our programs—reaching students, educators, families, and communities in new and exciting ways. Going out on our own will present some challenges, and although we are not without fear, we know that, with God’s help and your generous support, the Culture of Life Studies Program can continue its special mission. We invite you to join us today in building a culture of life. Every gift, big and small, helps us change the culture. We urgently need your financial commitment. We simply cannot do this without your help. We need your consistent prayerful support, as we cannot do this without God’s guiding hand. We need you to share our mission with at least one person, school, or influencer in your diocese. Please forward this message to your contacts via e-mail and social media. Our promise to you is good stewardship. We will use your money wisely and effectively. Our overhead is low. We work from home. Those of you who have spoken to Mary Flores on the phone know that you’ll likely get to hear from one of her six children during your conversation. That’s just one of the ways we keep our budget low and our funds focused on making a difference. You can also count on quarterly updates from us to ensure that you know exactly where your money is going and how we’re directly impacting the culture with your support. In the US alone, there are almost two million Catholic school students and an additional three million students enrolled in religious education programs. We want to impact the lives of each one of these students! Our hope is to see pro-life education in every Catholic diocese, home, and school in the US, Canada, and beyond! This is your first ground-floor opportunity to join us in making this mission a success. Will you answer the call? Please consider giving us your prayerful and financial support today and help us by forwarding this message to all your pro-life contacts. We are incredibly grateful to American Life League for nurturing the Culture of Life Studies Program for the past few years. Thanks to the support of Judie Brown and ALL, we have been able to develop our program amidst some of the best pro-life minds in the world. As we step out on our own, we will continue our no exceptions to abortion, 100% pro-life stance in all of our materials. We will continue to work with pro-life experts across the globe to ensure that we are helping you equip your students and children with state-of-the-art, culture-changing educational materials. Together, we will build a culture of life—one student, one family, one school at a time! If you have any questions, please feel free to call our director of outreach, Mary Flores, on her direct line at 540-907-9648. You can also email her at mflores@cultureoflifestudies.com. Thank you for all you do to support pro-life education. We are pleased to offer our support for the good work that has resulted in the Diocese of Wilmington from the Culture of Life Studies Program (CLSP). Every Catholic school in the Diocese received CLSP resources through the generosity of the Knights of Columbus and individual benefactors….We wish you continued success and many blessings in promoting the message of respect life through the Culture of Life Studies Program. These resources present an easy-to-use and integrated approach to teaching the sanctity of life. Students will meet current and past pro-life heroes whose lives exemplify Christ’s commandment to love the least among us. They will learn to appreciate the intrinsic value of every human person and they will be introduced to age-appropriate pro-life philosophy so as they grow they will know how to respond to abortion, euthanasia, and all threats to human dignity. Particularly in October (Respect Life Month) and January (Rally and March for Life Month), diocesan schools will be asked to focus on CLSP resources to enhance their current teaching on the respect for all human beings everywhere.